Want to bring this warm and bright style into your life? If you're looking to bring an exotic yet elegant feel to your home, this luxurious, dramatic, and exciting style is becoming increasingly popular in modern homes. 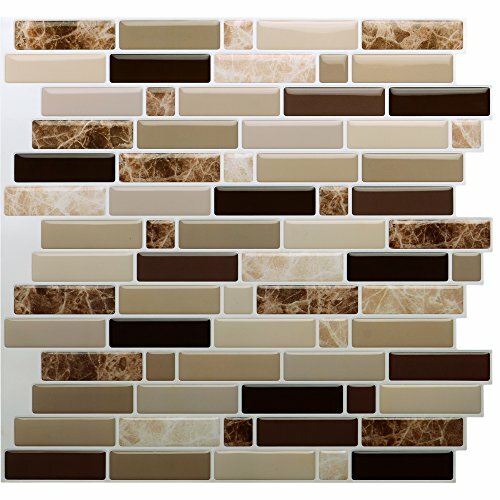 Rich and luxurious, the style has bold colors and shapes that make it a favorite of many interior designers. 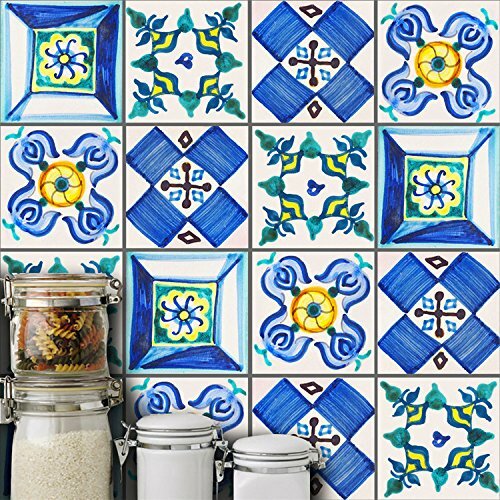 The Moroccan tiles focus on geometric forms. 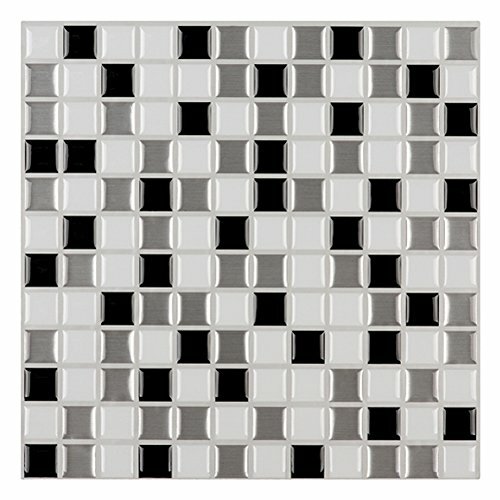 Their classic, bold look works well in traditional or modern settings. 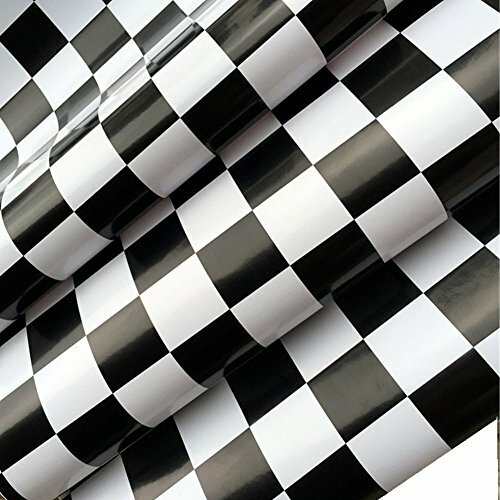 Printed on a smooth vinyl, NextWall sticks to any smooth wall or flat surface allowing for the perfect DIY projects. A great solution for giving walls or decor a fresh new look at a fraction of the cost. 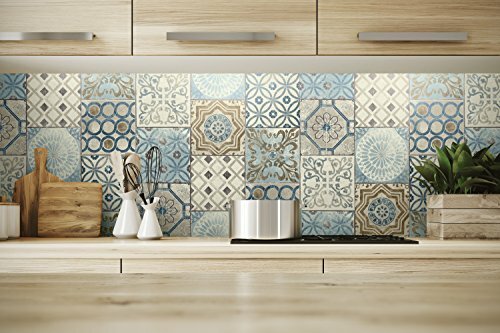 As well as your walls you may just want to create a backsplash, piece of wall art or just freshen up cabinets and tabletops. Perfect for Living room, Kitchen, Bedrooms, Office, Laundry room or College dorm. 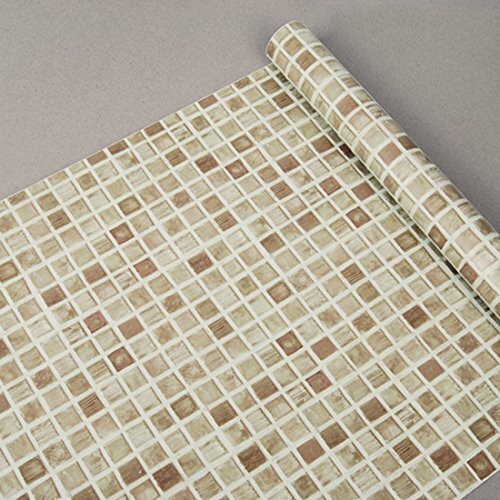 With the same qualities and durability as a permanent wallpaper this product can be applied or removed in minutes and is ideal for a long term or temporary use. Buy your NextWall designs today and change them as often as you like. Descriptions: NOTE:Before you begin to install ,please check the film carefully,if you find any creases,tears or other defects,please contact us immediately for advice.Don¡¯t remove the backing sheet or attempt to fit your film if you think it is faulty.We are unable to accept returns or provide refunds if installation has been attempted. 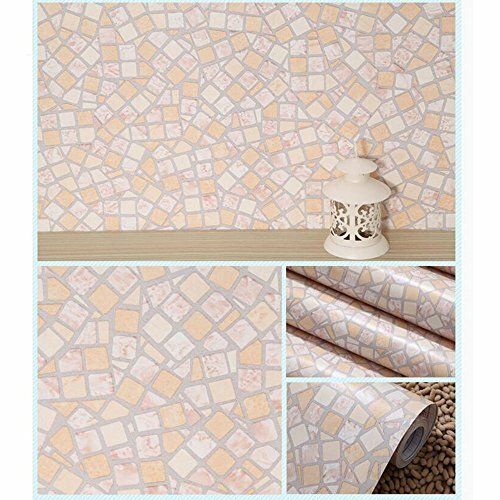 Material:PVC IF YOU WANT OTHER SIZE,PLEASE FEEL FREE TO CONTACT US! Features : Protection of Privacy Protects individual privacy by intercepting visibility from outside and refracts direct light such that a comforting and pleasant atmosphere is created. Intercepting UV Light Blocks UV light coming through the glass. Protects the body from diseases including liver spots, freckles, cataracts, and skin cancer Prevents interior furniture, curtain and wallpaper from bleaching or changing in colour. 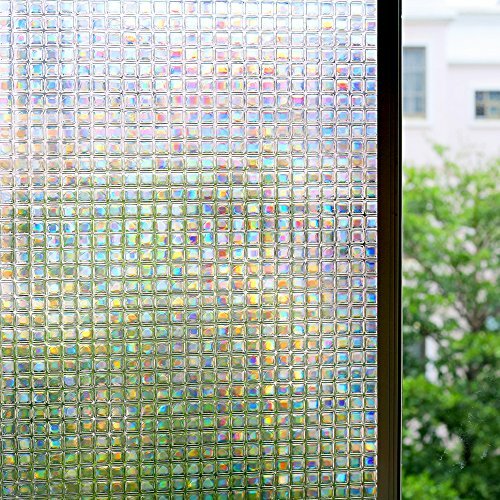 Shatter-Proof Safety Function Safety secured by preventing damages to glass and by preventing secondary accidents from glass fragments. Pressure sensitive adhesive for advanced safety film is used. There are product and directions inside the box included with the shipment. Please check it carefully. 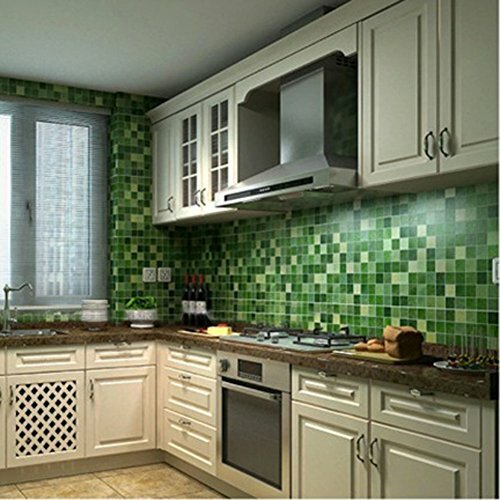 Mediterranean Style Tiles Stickers.Features: Pearly gloss finish high grade film, smooth surface, waterproof, easy to clean, self adhesive, no tools required, just peel and stick.Material:Eco-friendly PVC.Color Available:As Pictures.Single Square Size:20x20cm/7.87x7.87".Finish Size:Size adjustable according to how to stick them.Package Includes:10 Pcs Sticker.Note:Applies on tiles/wall (Any Dry,Smooth,Dust Free Surface).The product you received contains 10 parts. This item is a DIY product. It should be put together by yourself. The product is only suitable for smooth media, such as glass, metal, dust-free stairs and so on. 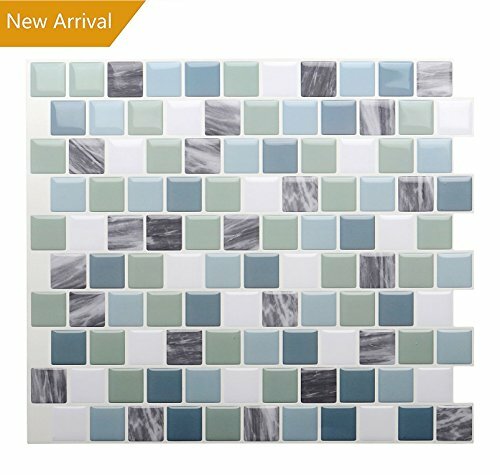 Compare prices on Mosaic Vinyl Wallpaper at ShopPlanetUp.com – use promo codes and coupons for best offers and deals. We work hard to get you amazing deals and collect all available offers online and represent it in one place for the customers. Now our visitors can leverage benefits of big brands and heavy discounts available for that day and for famous brands.